Note also the next General Meeting, Tuesday 5th February 2019 at 7.30 pm. The guest speaker will be Phill Collings, who will speak on the Old Melbourne Gaol. Phil is a volunteer guide who takes groups round the Gaol, and he will be sharing his knowledge. A Merry Christmas and a Happy New Year to all ! 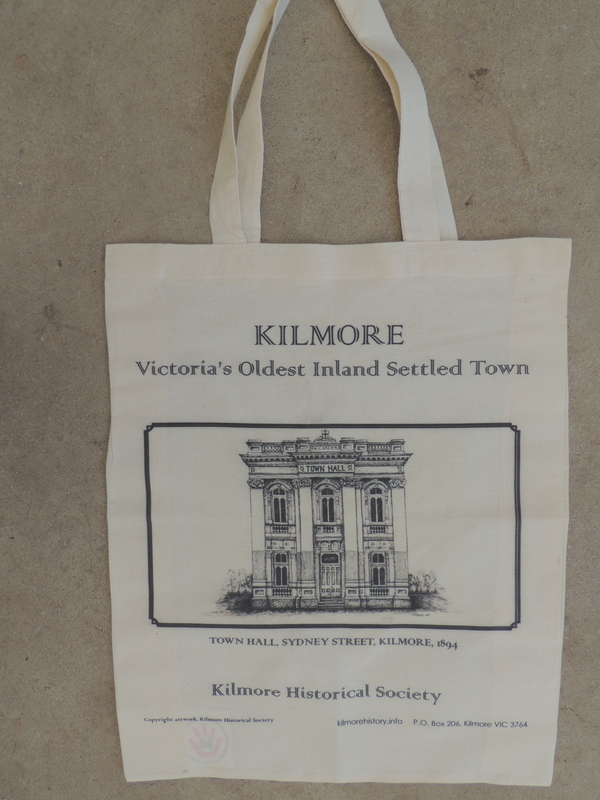 The Kilmore Historical Society has a new range of tea towels and shopping bags, decorated by sketches of historic local buildings. There are 10 different images available on the shopping bags. Eight of these are reproduced on tea towels. These are available at local fetes and markets and at KHS meetings. Why not buy one for a Christmas present ? Tea Towels are $15 each and are a 50% linen/cotton blend. 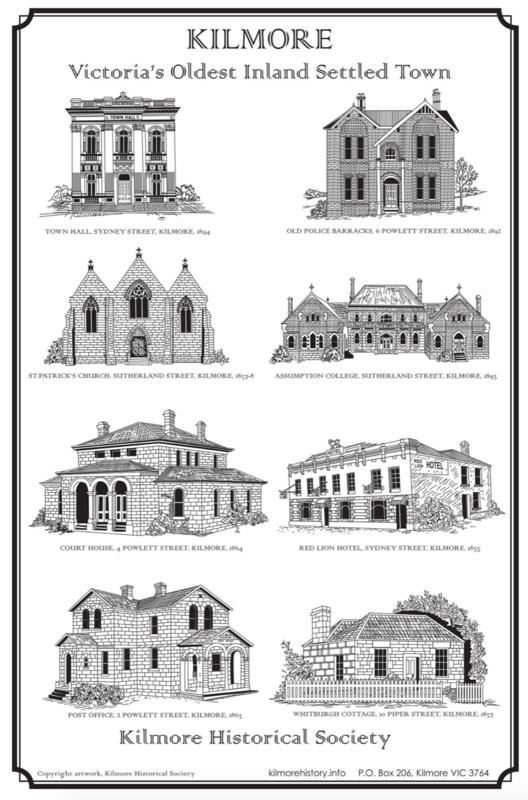 They feature eight buildings, see image. Postage for one item is $2.